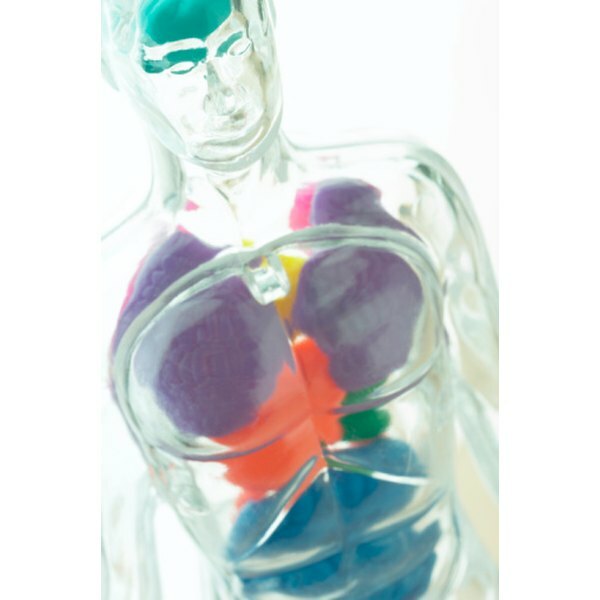 Oxygen is an essential part of most processes that occur in your body. Increasing your oxygen supply increases your body's efficiency in carrying out these processes. This includes a faster metabolism and more energy. To increase your oxygen supply, develop your respiratory system, which includes your lungs and respiratory tract. Engage in aerobic activities such as running, swimming or biking to increase the capacity of your lungs -- the amount of air they can inhale. The more air you inhale, the more oxygen can be absorbed by your lungs. Aerobic exercises also increase the effectiveness of your cardiovascular system, which increases the amount of oxygen that reaches the tissues of your body. Sing to increase the volume of your lungs as well as strengthen the muscles your body uses to breath. Play a wind instrument. Playing instruments such as flutes, saxophones and trumpets also increases your lung capacity -- and increases your oxygen supply in the process. Do not start any workout program without consulting your physician first.